Agassiz as he appeared around 1865, at the end of the U. S. Civil War. I have devoted my whole life to the study of Nature, and yet a single sentence may express all that I have done. I have shown that there is a correspondence between the succession of Fishes in geological times and the different stages of their growth in the egg — that is all. It chanced to be a result that was found to apply to other groups and has led to other conclusions of a like nature. With this one quote (above) Agassiz establish that “ontogeny recapitulates phylogeny”–in the famous phrase–that is, the development of creatures in their fetal or embryological stages repeats their precise progress over geologic time. So the way a fish grows in the egg is an exact replication of that species’ development over prehistoric (or evolutionary) time. From a single cell, to a multicellular blob, to a creature with a spine, to one with fins, and gills, and eyes, and a brain, and scales, the way any creature grows in the womb (or outside of the mother’s body in an egg) repeats exactly the way that creature developed over millennia of geological time. With that observation, Agassiz confirmed a central truth of all biology: our origins as species are written clearly in our anatomy and in our individual bodily growth and development. A student of both von Humboldt and Cuvier, Agassiz was a notable natural historian in his own right, responsible for advances in botany, ichthyology, paleontology, and geology. His study of glaciation produced the first generally understood analysis of ice ages in the earth’s history (perhaps the result of his youth spent among the glaciers of Switzerland). 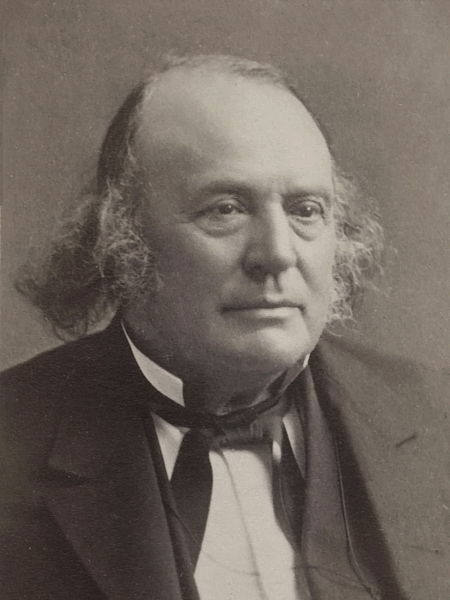 Although his science was weakened by his personal racial beliefs (that human races had been formed separately) and his denial of Darwinian evolution (he remained a committed Biblical creationist throughout his career), Agassiz became a professor in Switzerland and later at Cornell and Harvard. Though never himself a racist (he advocated for spiritual unity among all human beings), his religious refusal to accept Darwin’s views weakened his overall contribution to the natural sciences. Nevertheless, many species and geological features–including on the moon and Mars–have been named after him, and his decades of teaching influenced an entire generation of subsequent scientists in a wide range of fields: zoology, ichthyology, paleontology, glaciology, and geology. A founding member of the National Academy of Sciences in the United States (1863), he also became a regent of the Smithsonian Institution during that same year. He also founded the Museum of Comparative Zoology at Harvard, an institution that advanced the study of comparative anatomy for over a century. Agassiz was also responsible for the popularization of science in a way that few scientists before him could claim. Countless nonscientists read his work, attended his lectures, and sent him botanical and zoological specimens for his examination and research. As the webpage of Agassiz at U.C.–Berkeley states so well: “His philosophy of nature, aiming to understand the Divine Plan, is the last great expression of the old school of natural theology, started by men like John Ray almost two hundred years before. Natural theology had once inspired countless scientists, including Darwin and his forerunners, but by the time of publication of The Origin of Species it had largely run out of steam, unable to offer any real explanation for natural phenomena except “God made it that way.” Within Agassiz’s lifetime, and much to his grief, most of his students — including his son Alexander, a well-known naturalist in his own right — became evolutionists, though not necessarily Darwinians.” So Agassiz remains a conflicted presence in the history of science: a racist who argued for the spiritual equality of the races, an anti-evolutionist who contributed one of the most important strains of evidence to support Darwinian evolution (comparative anatomy), and a Biblical creationist whose own glacial studies proved that there could not have been a single great Flood over the whole planet, nor one precise development of humans beings from a single spot in the Fertile Crescent of the Middle East (the site that Biblicists cite as the likely location of the Garden of Eden).